Michael Fuller is a multiskilled journalist at WLTX-TV in Columbia, SC where he covers a wide variety of stories as a general assignment reporter. 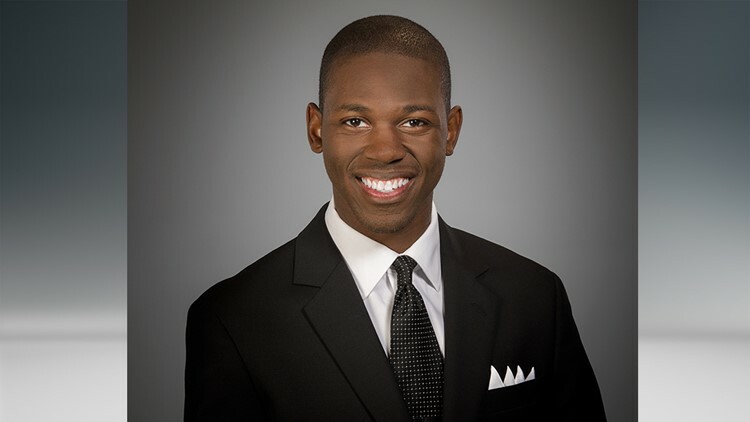 Michael joined the WLTX news team in January of 2018. Michael was born and raised in Philadelphia, Pennsylvania. At a young age, Michael was very active in his church community and it was there where Michael learned that he had a passion for broadcast journalism. Michael graduated from Hofstra University with a degree in Broadcast Journalism. During Michael’s time at Hofstra he hosted the student – run radio morning show on WRHU-88.7 FM, home to the New York Islanders. He also co-anchored the television news program Hofstra Today, hosted F.Y.I. Long Island and hosted four of Hofstra’s long-standing fall festivals that drew thousands of Hofstra students, family and alum each year. In the fall of 2016 Michael covered the Presidential debate and the Democratic National Convention. Michael also had the opportunity to interview the Independent Presidential candidate Jill Stein. A few of Michael’s professional internships include the Philadelphia ABC station, WPVI-TV, NBC’s Today Show, and NBC 4 New York, Investigative Unit. Michael also interned with Walt Disney Parks & Resorts as an Entertainer and became a seasonal cast member for five years. Michael is a member of the National Association of Black Journalists and the Society of Professional Journalists. Michael has always been driven to find the good in people as he believes that having a platform to share inspirational and encouraging stories may inspire others to press forward to realize their purpose to be a productive citizen. Michael uses his social media platforms to share an inspirational quote and/or provide information on Monday’s to help his followers jumpstart their week. In Michael’s spare time you can find him taking a stroll in the park, listening to music and traveling on the road or in the sky in search of his next big adventure. If you have any story ideas for Michael or simply would like to stop by and say hello feel free to send an e-mail to mfuller@wltx.com and follow @MichaelFullerTV on Twitter, Facebook and Instagram.